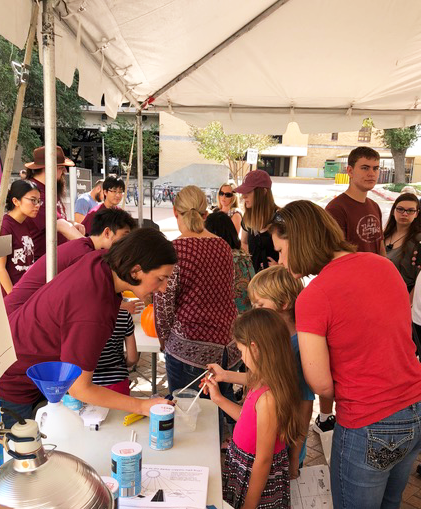 The Texas A&M University Department of Chemistry hosted the 30th Annual Chemistry Open House and Science Exploration Gallery Oct. 21 at Texas A&M. College of Geosciences volunteers educated participants at the Chemistry Open House. Harold J. Haynes Chair in Geosciences, and professor of chemistry in the College of Science; and graduate students Bowen Pan, Jiaxi Hu, Jeremiah Secrest, Yixin Li, and Yun Li. 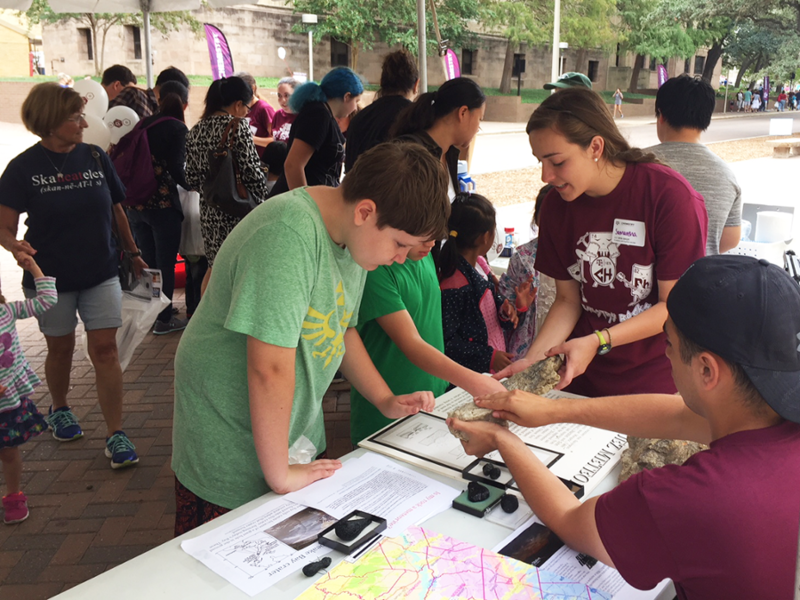 Volunteers from the College of Geosciences educating participants at the 2017 Chemistry Open House at Texas A&M. Photo by Elise Wilbourn.